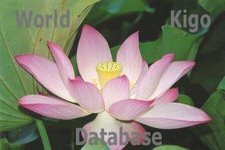 The dates vary, now celebrated on September 15.
a Japanese poet who excelled in the fields of waka, renga, and in particular haikai. 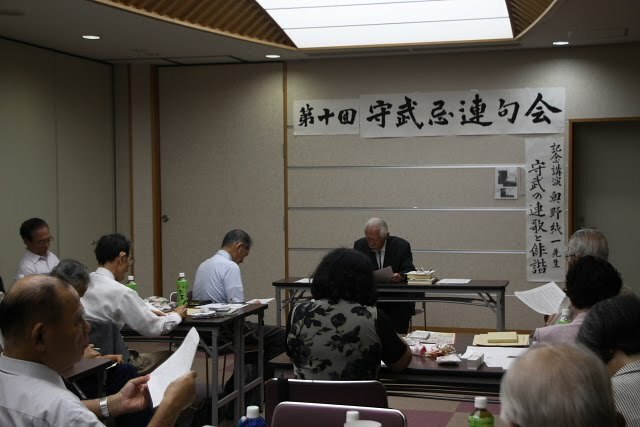 He studied renga with Sōgi. He was the son of Negi Morihide, and a Shintoist. At the age of 69, he became head priest of the Inner Ise Shrine. 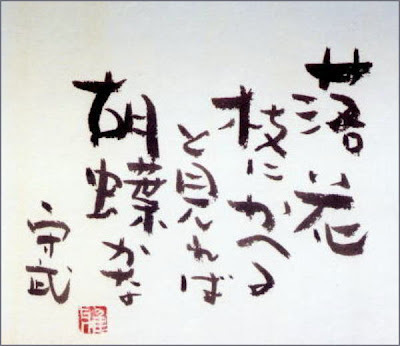 Originator of the style of poetry known as Ise haikai (haiku). Member of the priesthood (shinshoku) of the Inner Shrine (Naikū) at the Grand Shrines of Ise (Ise Jingū) in the period of Warring Provinces (sengoku, ca. 1457-1568). 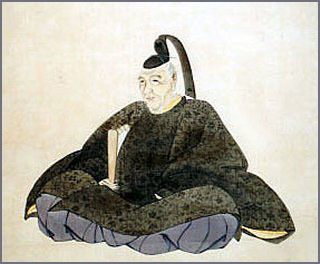 Arakida was the ninth son of Suppliant Priest (negi) Sonoda Morihide and grandchild of famed author Fujinami Ujitsune (1402-1487). Appointed to the Senior Fourth court rank and the title of First Suppliant (ichi no negi) at Naikū in the final years of the warring era, a period of severe hardship in the history of the shrines. Yo no naka hyakushu (One Hundred Poems of the World), widely known as the Ise Analects (Ise rongo). A figure of Moritake, seated and clad in ceremonial vestments is kept in the Jingū History Museum (Jingū Chōkokan) of the Outer Shrine at Ise. A memorial to Moritake's spirit (Moritake Reisha) was enshrined during the mid-1640s on the premises of his house, but it was later moved and jointly venerated at the shrine Uji Jinja. Today / my life is mirrored in / a morning glory. 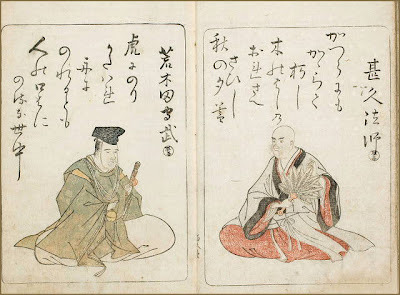 Hoffman makes reference to a different 'death poem' said to be written by Moritake, quoting Kikaku as follows: "Kakei, a pupil of Basho's, edited a collection of poems called 'Aranoshu' and included in it a death poem ostensibly written by Moritake: 'Twilight / a eulogy for petals / falling ['chiru hana o / Namu Amida Butsu to / yuube kana'].' I am convinced that this is a mistake, for a Shinto priest is not likely to abandon the world with [a Buddhist prayer]. 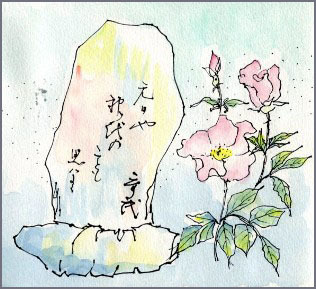 It is more likely that Moritake merely wrote the poem after seeing flowers wilt."
. 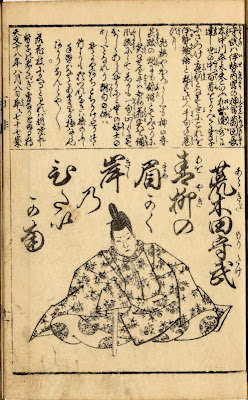 Arakida Moritake 荒木田守武 .